Holy frijoles! How quickly a year passes us by! Last October we had no idea it would be the Summer of White Sangria, or that tacos would be available across the entire city in such short time. Muchos gracias, Honkytonk – it’s been a wild twelve months. 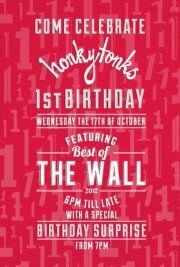 To celebrate it’s first year, still in nappies and not quite walking – Honkytonks is bringing us ‘The Best of the Wall’ – a party which will feature favourite artists who have been part of the Wednesday evening art show since inception earlier this year. The show will include displays from all the artists who have shown over the year—OurClothes, Abyss, Lisa T, Luke Chiswell, GKB, Adam Kinnimont, Fergus, Janis, Sophie & Matt photography, Andrea, Charles & Steven, Jess Mess, Sasha Jeffrey, Steady Bumpin, Eugene Mulipola, John Vukovic, Yam, SKEEHAN. Plus – according to the event’s Facebook Page, there will be a special birthday surprise for all those who attend. 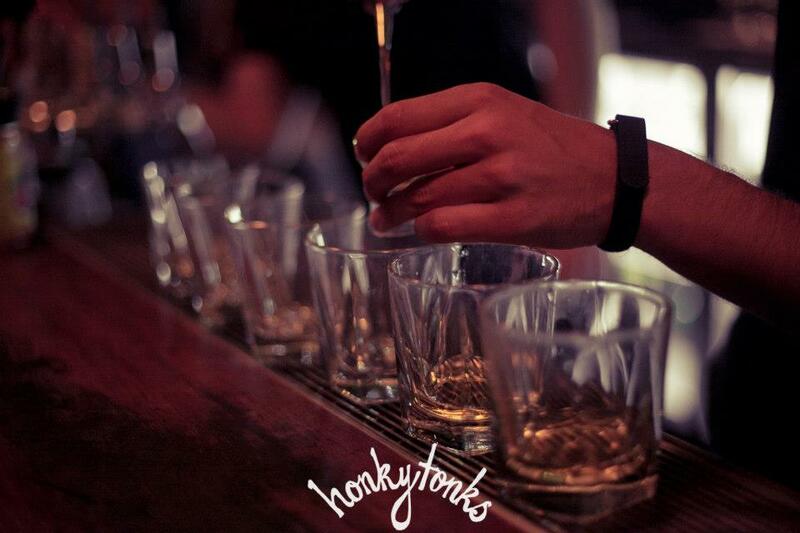 So, ¡Feliz cumpleaños Honkytonks! we’ll see you at tonight’s fiesta!